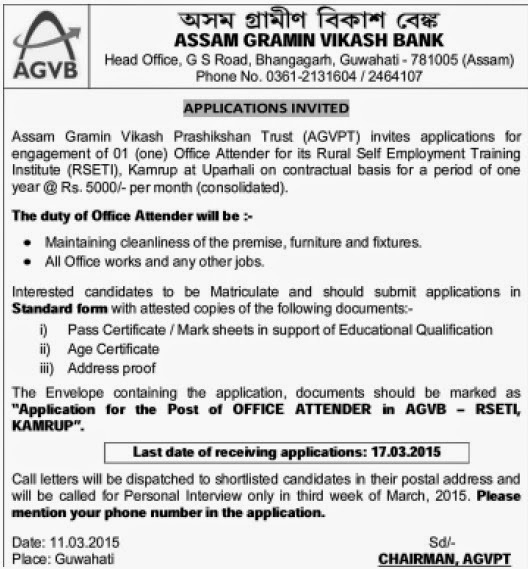 Assam Gramin Vikash Prashikshan Trust (AGVPT) invites applications for engagement of the following post for its Rural Self Employment Training Institute (RSETI), Kamrup on contractual basis for a period of one year. 1. Maintaining cleanliness of premises, furniture, and fixtures. 2. All office works and other jobs.